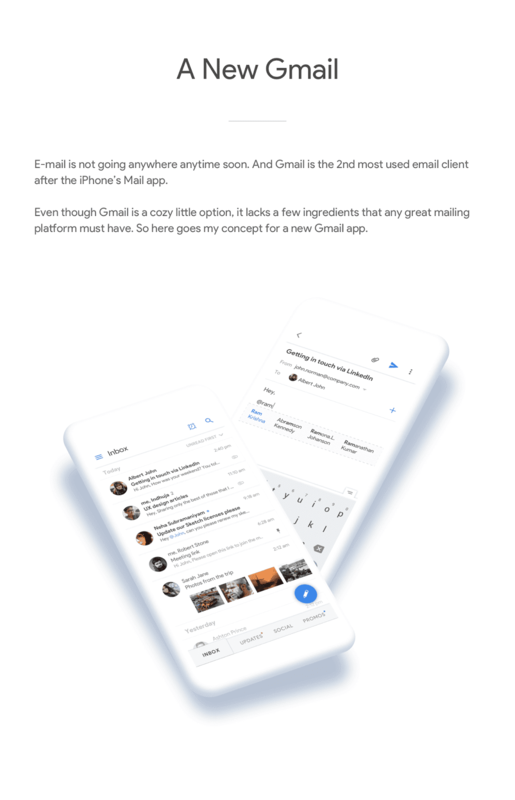 This was a fun project, done in an attempt to re-imagine the very famous email platform: Gmail. 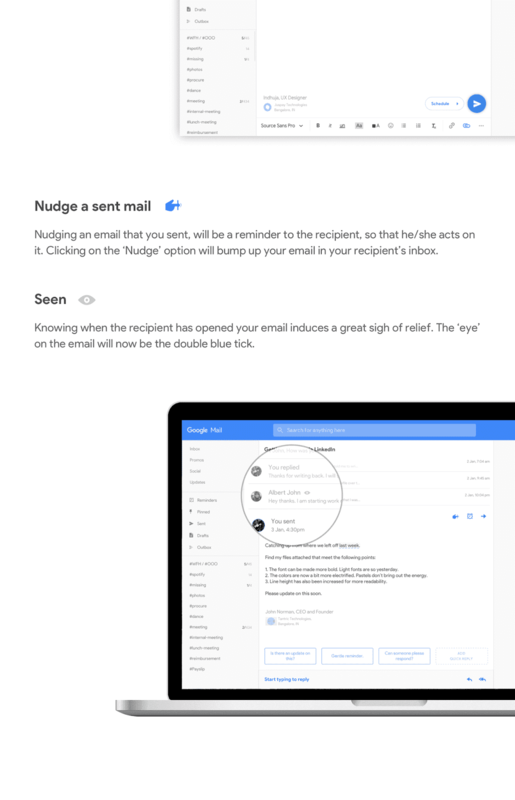 When a lot of people already use it, it means they are used to it too much that they even skipped the "new Inbox" for it. 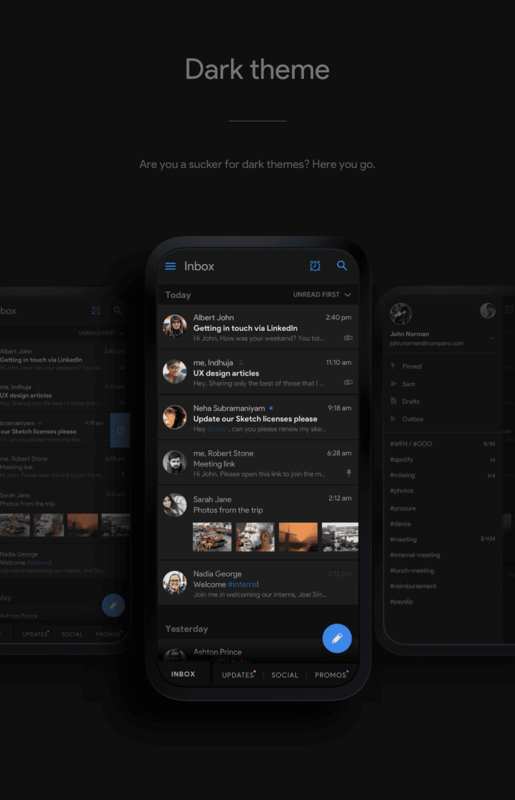 The challenge was to keep the essence intact, yet provide new functionalities while subtly giving the good old Gmail a face-lift. 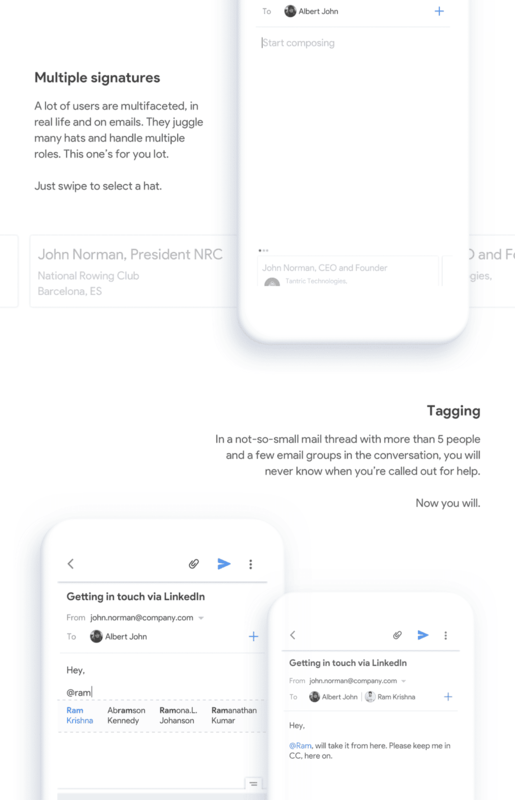 Here are some animated screens that I made on Flinto, just to give a peek at how they function. 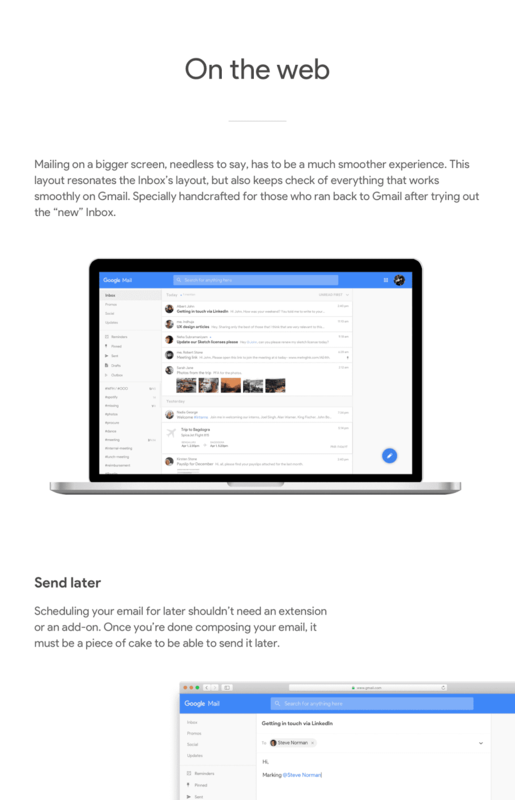 I wouldn't want my email clients to be doing a lot of heavy animations, at least not Gmail. 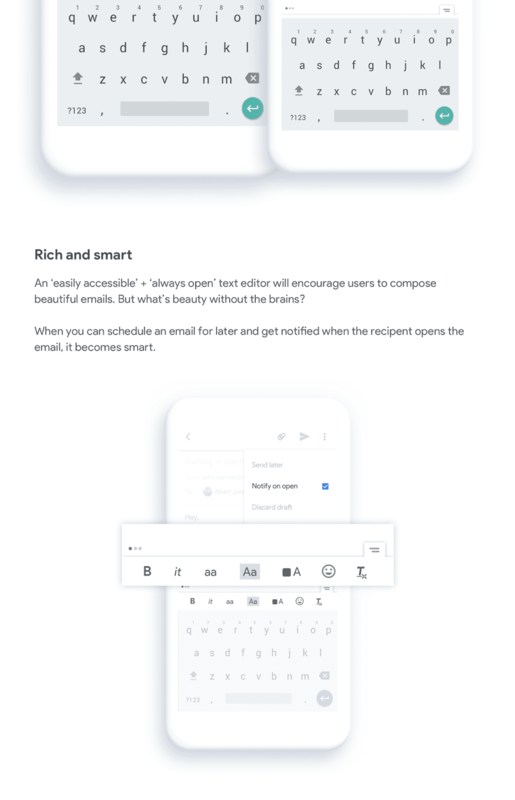 Here's how to simply swipe to snooze an email. Change your signatures in a jiffy. 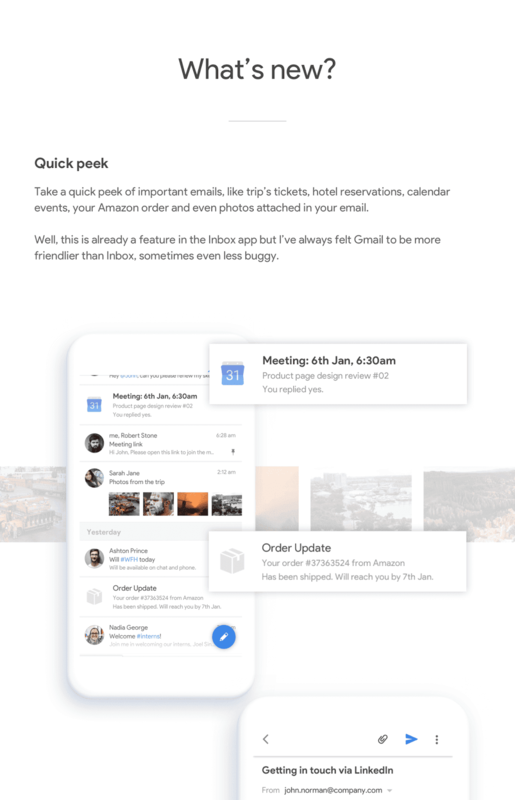 Schedule an email for later in just a few clicks.